The Next Big Thing Project is traveling post where writers answer questions about their works in progress and tag others to do the same. Thank you Sunil Yapa for inviting me to participate. I look forward to your book. The work aspires to employ the language of a poet, the skills of a journalist/scholar, and the insights of personal experience. Two other writers I recently discovered whose work falls in this realm are Susan Griffin and Rebecca Solnit. My work in progress often seems “all over the place,” but the writing is rooted in these intersections of form and content. As a writer, this is the question I dread the most. This reluctance to answer has several components. Part of it is the fear that reducing the work into a single sentence reduces the work—that it cheapens and commodifies it. Another part is just the difficulty of the task- to summarize years of work that is seemingly “all over the place.” Rather than provide clarity and insight, the fear is that I’ll be misunderstood. And the last part of it has to do with the unknown. Many assume that in writing nonfiction, the story is already there, but I’m constantly discovering new things that complicate and drive the story into unchartered terrain. It is one of the joys of writing, but it can be difficult to summarize whenI’m still finding my way. So with that I’m going to allow myself to ramble here for a bit. Divining Water is a story about three generations reconciling violence and disparity and their search for nonviolence in the modern world. I am researching the life of my paternal grandfather, who was stationed as a civil engineer in Burma from 1919 to 1934, when he had a radical shift, and decided to quit the British, give up all worldly possessions and join the Freedom Movement in India. He moved his family to the rural town of Kallakurichi, where my father, the youngest of thirteen children, was born. There, my grandfather became a water diviner and developed wells in the surrounding villages.I never met my grandfather, but like him, I studied civil engineering, worked on water supply projects and pursued social activism. I left my engineering job to work for a magazine called Satya, which was inspired by the Satyagraha movement that influenced my grandfather. As an engineer, I studied hydrology and geology. I wanted to understand how the earth responds to human pressures. 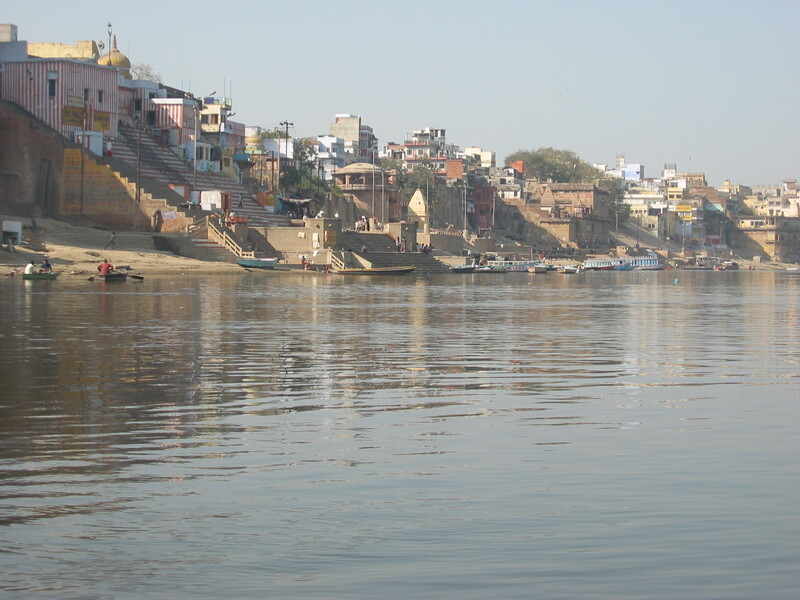 My stories here are set around rivers: Ganga, Gaumukhi, Yamuna and the Irrawaddy. Understanding the history and fate of these rivers also serves as a lens through which to examine larger social and environmental issues— both in my forbearers’ time and mine. The book is about losses (personal, political, environmental) and if/how we can recover from them. It is about the linkages between sanitation and social justice. It also examines the tension in the choices we make between family responsibilities and social activism. The first fragments of this book were written long before I knew I would be writing a book. 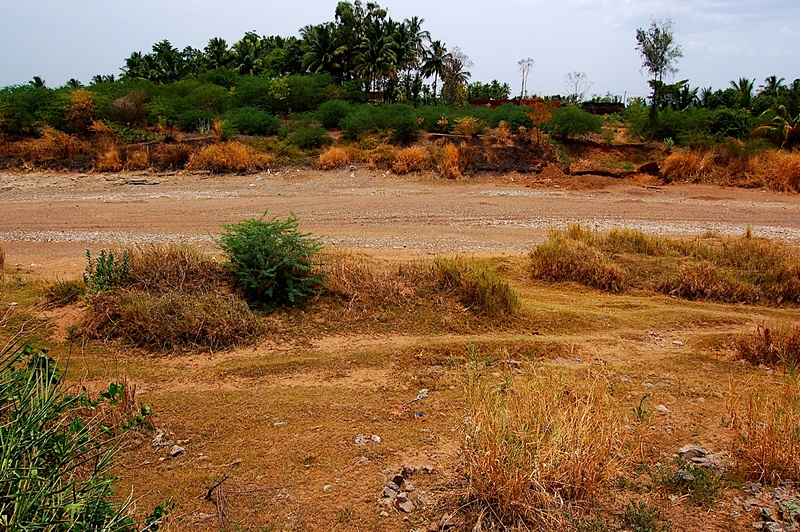 “Our journey began in North India, but this story really begins in South India, in a place called Kallakurichi, where my father was born…” began a letter I sent to friends after immersing my father’s ashes in the River Ganga. Losing a parent leaves you with many questions. My father’s death in 2003 had set me on two parallel journeys, one that sought the unearth the past, and another that tried to understand the present. But it would be several years before I would revisit these pages. Nancy Rawlinson, a former writing instructor of mine, suggested I consider writing a book. I let that idea sink in and applied to the MFA program in nonfiction at Hunter College in 2008 with a proposal to work on this project. Prior to this, the various aspects of my life-—family, engineering, and activism were compartmentalized. It has been through writing that I’ve found ways to integrate them, and the idea for the book has since evolved. Hmm…Good question. I’m working on how to do justice to my characters on the page, and I’m not sure yet who would serve them well on the big screen. Suggestions welcome. I’m inspired by people who pursue their passions and live their truths. I am inspired by acts of compassion. I’m inspired by the natural and the urban world, and the many creatures within them. I’m grateful and honored to have many wonderful writers in my life. Here’s a start. I can’t wait for your books and your interviews. Tell us about your next big thing Emily Bass, Laura May Hoopes, Amy Jo Kandathil, Parul Kapur Hinzen, Geeta Kothari, Anna Marrian, Cynthia Polutanovich and Krystal Sital. Posted in books, Writing and tagged next big thing, writing.